He also asserted that BJP is making use of social media to change people’s opinion about Prime Minister NarendraModi. “Social media and electronic media are changing people's opinion about Modi and they are giving much importance to him and imposing an opinion that no leader is like Modi. Our youth is capable to understand it and they can make change by working together. I can tell what all happened to minority and Christian communities, but I don't want to discuss on that issue in this stage,” he said. He also said that it will be too soon to decide as to who is going to be in power and in opposition after the Lok Sabha elections. “It is not possible for me to imagine what 130 crore people think, with your blessings if I get the chance to sit in parliament. I don't know which side Modi sits (opposition or in government) and I don't know what 130 crore people decide,” he said. 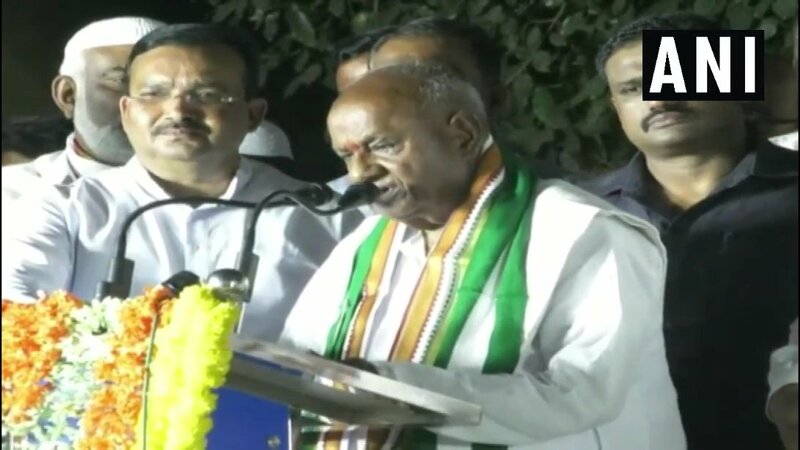 The Congress will contest on 20 seats and JD (S) the remaining eight as part of the seat-sharing agreement reached between the two parties for the total 28 Lok Sabha seats in Karnataka. In the 2014 Lok Sabha elections, the BJP won 17 seats from Karnataka while the Congress bagged nine seats and JD(S) got two seats.